I love FRENCH FRIES. So delish, and dipped in ketchup (Heinz of course) is pretty close to heaven. And while the doc has some great tips on healthy eating, does anyone want to mess with a pregnant lady when she is in a happy place???? My husband would say no :o) But there is a small hiccup in one of my favorite foods mentioned by the doc, they aren’t that great for you. Most fries after all are FRIED. 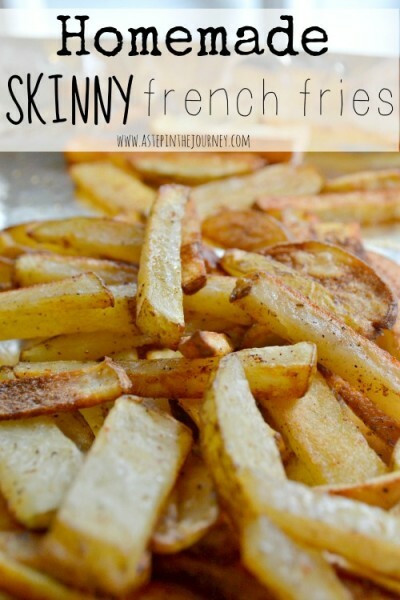 Well, I have done what I can to make them “not so bad.” And today I want to share with you how to make homemade skinny fries in the oven! First, and foremost, you have to cut them correctly, so check this out. 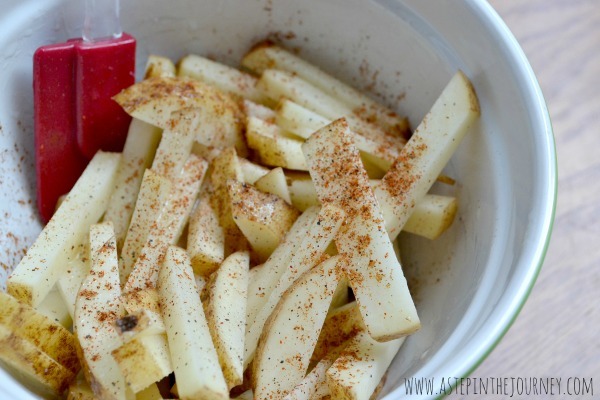 Once you have your fries cut follow the recipe below and you will be on your way to heaven too!! 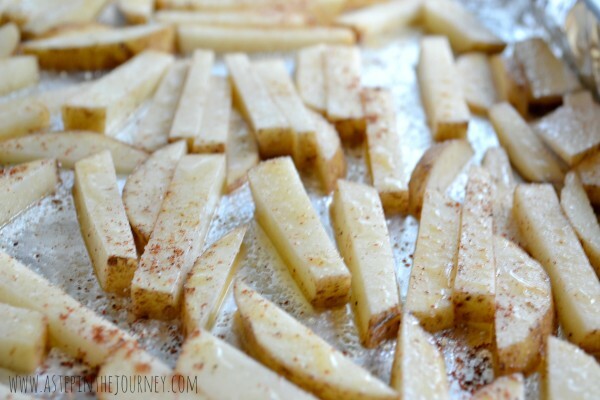 I hope everyone is having a great day & are adding these fries to you dinner plans tonight :o) Maybe pair them with some slow cooker pulled pork sandwiches and peach cobbler for dessert! Made them tonight – they are awesome! Something about the chili powder makes the flavor very close to fried (not sure how to explain it – but really good). Question – I made 4 potatoes and doubled the other ingredients. Definitely overdid it and had to pour a lot of extra out. What would you suggest for the ingredient amounts when the recipe is doubled? Thanks for the awesome recipe! This recipe has been my most popular pin all year! Forget the cards and scrapbook layouts I create and pin! tee hee! 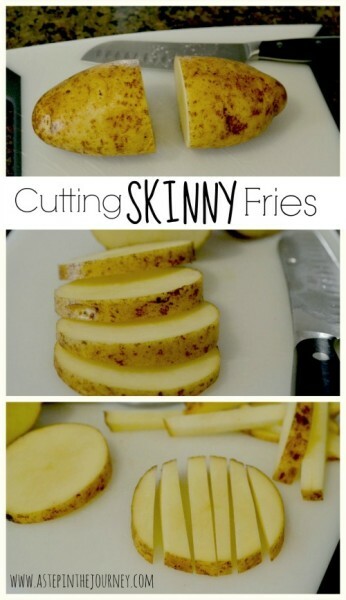 Just give my followers a recipe for Home Made Skinny Fries! These are great!! I hope you enjoy them :o) So glad you stopped by! These look awesome! But I’m wondering… Can you freeze them? 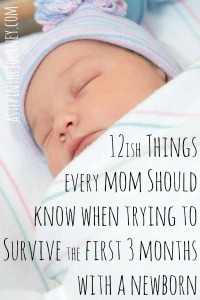 Like make a bunch ahead of time and pull them out as needed. The texture of these fries look amazing! And so simple – will definitely try these. p.s. 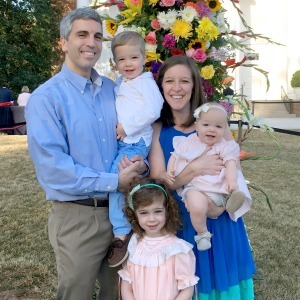 your profile picture is adorable!